Home > Reviews > We particularly loved Takayama, and would have liked to have stayed there longer. We particularly loved Takayama, and would have liked to have stayed there longer. We took a nine day 'combination tour, - 3 days Tokyo, then Hakone,Takayama, Kanazawa then Kyoto, with Sunrise tours (booked very efficiently through Japan Travel Centre in the UK) before going to a Congress in Kyoto. Organization was superb- everything was like clockwork. When traveling by train we were met by guides waiting for us on the platform. Hotels were all excellent- clean, comfortable and well located with outstanding service. City hotels not surprisingly tended to have small rooms. We were on the 'cheapest' package but that is not surprising and there is no point in upgrading. The tour was arranged so that we saw a variety of different sights and areas, shrines,temples, view points, gardens, heritage houses, cities, country etc. We particularly loved Takayama, and would have liked to have stayed there longer. For those who have not been to Japan, we were surprised how early restaurants closed - often 8.00 pm, but evening the hotels by 9.00 pm. Also Japanese punctuality is absolute- when a time is given it is meant, including the public transport. The guides were very good indeed. Only in Kyoto, did we feel overwhelmed by the number of other tourists. 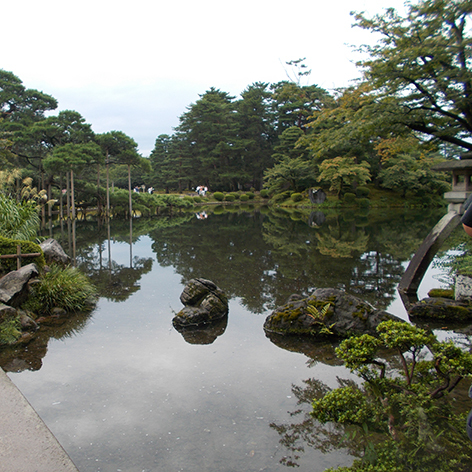 Overall we love to go again, and if so we would arrange to spend an extra day or two in Hakone and in Takayama.